FNES concentrates on community-based partnerships that focus on RESULTS. First National Estate Service has been helping people with their mortgages since 23007. 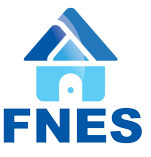 First National Estate Service(FNES) represents the Real estate services that we provide in Calgary as well as on/off reserve people residing in the Calgary area. FNES manages an agreement with Mortgages Service Canada on behalf of the most known lenders with delegated authority for loans and mortgages in the Calgary area in the region of Alberta. First National Estate Service is always striving to provide you with the best rates of market outcomes for all Aboriginal people living in their service areas.